When she was just twenty-one months old, Amber’s parents enrolled her in violin lessons. Since then, her life has been dedicated to mastering the violin and enjoying music. She received a Bachelor of Music degree from Reinhardt University with a concentration in music performance in 2009. While at Reinhardt. she studied with Juan Ramirez and Lisa Morrison, and played in the Reinhardt Symphony Orchestra and many chamber ensembles. She has been teaching private violin and piano lessons since 2005. She also works as a free-lance musician in the Atlanta area, playing with churches, orchestras and chamber groups throughout the metro Atlanta area and surrounding areas, including the Georgia Symphony, North Georgia Symphony, Symphony Orchestra Augusta, the Rome Symphony, and the Gadsden, AL Symphony. She attends Woodstock City church and loves performing there, as well as at North Point Community Church, Buckhead church, Gwinnett Church, Mount Bethel UMC, Eastside Baptist Church, Victory World Church, and many other churches throughout the Atlanta area. Amber LOVES infusing her classical training into non-classical music! She currently lives in Marietta, GA with her husband and their miniature dachshunds, Libby & Lucy. Sarah Beth Wilson resides in Lawrenceville, Ga with her husband & two wonderful kids. She studied viola at the University of South Carolina, then transferred to Reinhardt University, focusing on music education. She has been blessed with opportunities to perform around the world with the Buckhead Youth Orchestra in Switzerland, Monaco & Mexico, as well as on the mission field in Guayaquil, Ecuador & Slovakia. She is currently plugged In to the community at Gwinnett Church and enjoys serving as a middle school ministry leader. When she's not performing with Cobalt Strings, she works as a certified Opthalmic Assistant at Marietta Eye Clinic, as well as teaching private music lessons and performing as a free-lance musician. She is grateful for the grace that she’s been given to be an instrument for so many. ​Julienne began taking private cello lessons at the age of 3. She later took lessons in violin, viola, and piano as well, and she participated in various orchestras. The orchestras brought her around the world. Julienne traveled with Chicago’s MYSO to perform for the Sydney 2000 Olympic Torch Relay ceremonies, collaborated with German musicians in a trip with ASYO, and recently served on a mission trip to Hungary with Camp Kirkland directing the GMP Celebration Orchestra. At an early age, Julienne was accepted into the studio of Martha Gerschefski, renowned instructor and Juilliard School of Music graduate. Julienne also took private lessons from Christopher Rex, Principal Cellist of the Atlanta Symphony Orchestra. Julienne enjoys playing many styles of music. She was trained in classical music, but she often plays her electric viola in praise bands. While attending Governor’s Honors Program, she performed alternative music in a cello quartet. Julienne has also recorded with artists Collective Soul and Rick Ross. While studying abroad, she was appointed Principal Cellist of the HKUST Orchestra in Hong Kong and HKUST Traditional Orchestra, which includes oriental instrumentation and repertoire. Julienne has been tutoring others and coaching groups since 2001, and she currently teaches private violin, viola, and cello lessons at the Murray Arts Academy, located at Mount Paran Christian School. She currently resides with her husband in Kennesaw, Georgia. Patrick is Amber's husband and our unofficial roadie. 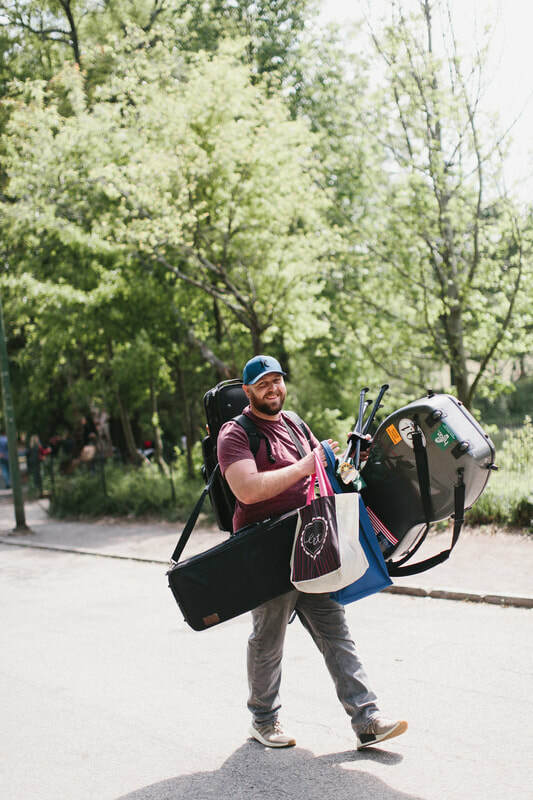 He comes to a lot of our gigs and dutifully carries our cases and all of our gear. He sometimes drives us to our performances, and is generally just a big helper. He's our biggest supporter and number one fan! If any of our primary players can’t play for any reason, one of our talented secondary players is ready to fill in! Nirvana Kelly is a professional violinist and violist. She studied viola performance with Tania Maxwell Clements at Georgia State University and also abroad at the State Conservatory of Thessaloniki in Greece. Since college, Nirvana performs regularly in Atlanta and also internationally with her band, Little Tybee. She also performs solo and small ensemble works for special events with various string quartets and trios in Atlanta. Aside from performing, Nirvana is a private violin and viola teacher in addition to teaching beginning string orchestra at Pace Academy. ​A dedicated violinist, pianist, and teaching artist, Tina began piano lessons at age four and began playing violin with her school orchestra program. During this time, she was selected to play in the GMEA All State Orchestra for seven consecutive years, was a member of the Atlanta Symphony Youth Orchestra, Metropolitan Youth Symphony Orchestra, and attended various summer chamber programs. She pursued a minor in music and was the concertmaster of the GTSO when she was in college. 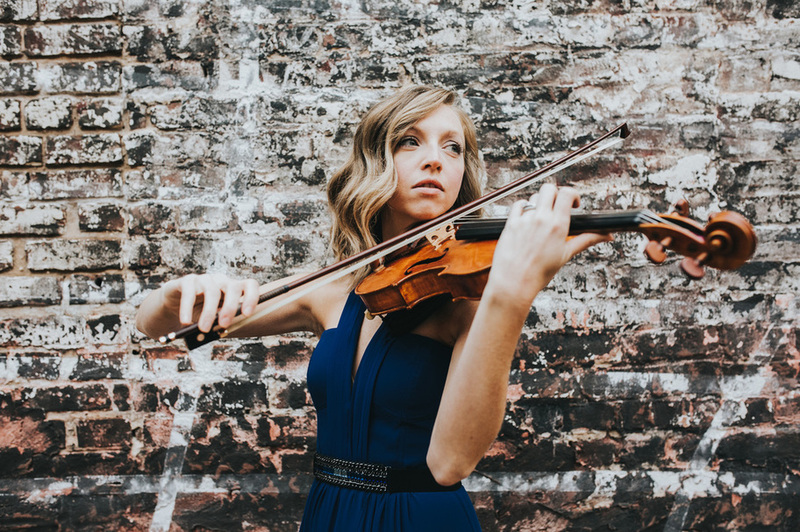 Tina has traveled to Chicago to play at the Midwest Clinic, and accompanied recording artists such as Amy Grant, Michael W. Smith, and Rick Ross. She plays weekly in the worship ensemble at Johnson Ferry Orchestra, and is a member of the Georgia Symphony Orchestra. Jennifer graduated in 2011 from Reinhardt University with a double major in Cello Performance and Music Education. 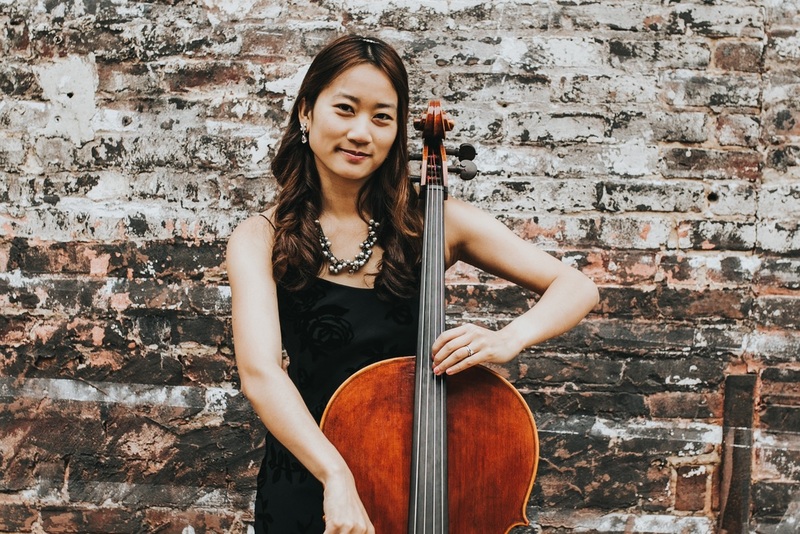 She began playing the cello in middle school after having a strong musical foundation in piano and violin lessons since an early age and studied privately under retired Atlanta Symphony cellist Nan Maddox throughout High School and College. She has enjoyed playing the cello not only with the Reinhardt Symphony and the Georgia Symphony Orchestra, but also with many different community and church orchestras, string quartets, and various local folk and praise and worship bands. She now lives in Atlanta where she enjoys regularly attending and performing at the Church of the Apostles and is the full time orchestra teacher at Mount Paran Christian School.